Anatole rolls up, a playpen bumper made by Lilliputiens. Item number 83069. 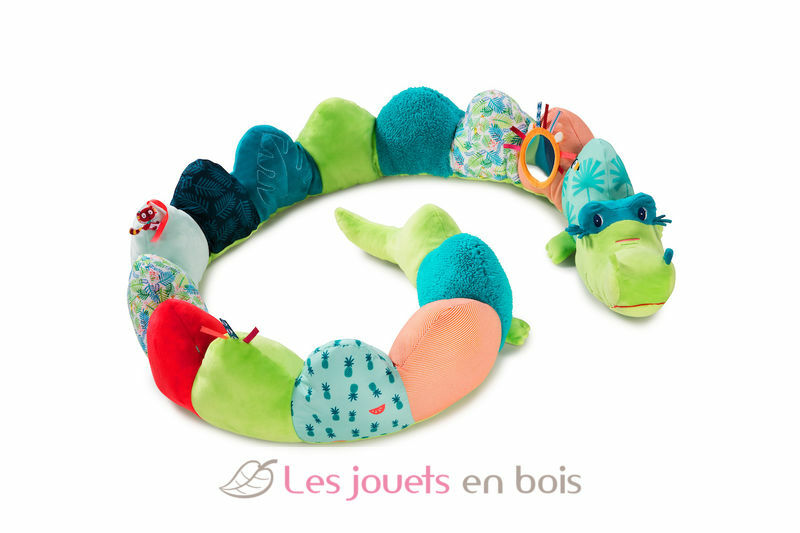 It’s not just about great looks and sweet colors with Anatole the crocodile ! Not only is he great as a playpen bumper since birth, but it converts as a great toy for your baby’s awakening with his rattle, mirror and crinckle noise.